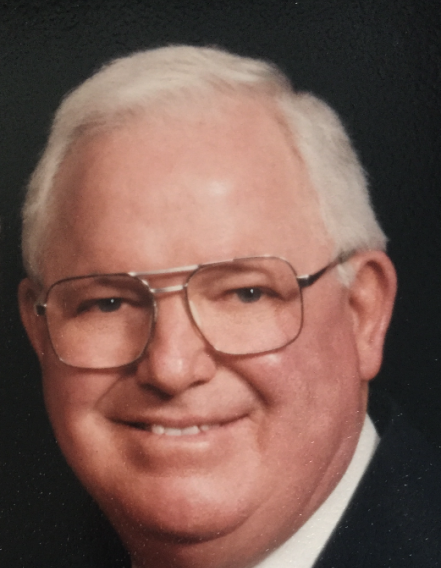 Duane Wyly, 89, of Canyon, Texas died Wednesday, February 6, 2019 in Canyon at his home. Graveside services will be at 10:30 A.M. on Monday, February 11, 2019 at Dreamland Cemetery, south of Canyon, with Bob Mink, Associate Pastor of Washington Avenue Christian Church, officiating. Memorial service will be at 2:00 P.M. in Amarillo at Washington Avenue Christian Church with Jim Shelburne, Senior Pastor, officiating, along with Ira Purdy and Shane Wyly. The family will receive friends from 4:00 to 6:00 P.M. on Sunday, February 10, 2019 at Brooks Chapel in Canyon. Robert Duane Wyly was born on February 1, 1930 to Catherine Alta Wilson Wyly at the Wyly family farm, Southwest of Bootleg Corner in west Deaf Smith County. Duane’s father, James Allen Wyly, had been killed in a truck rollover vehicle accident on October 20, 1929, nine days before the Great Depression struck our country. Duane’s mother found herself widowed with six children and baby Duane on the way. The family remained intact and gritted out the Great Depression and the Dirty 30’s with incredible faith in God, fortitude, and hard work. Duane grew and thrived as the youngest of seven and attended school at Messenger Community and then Friona Public Schools where he graduated in 1948. Through church activities and family, Duane met the love of his life, Mary Avaritt, in Tucumcari, NM. They were married on January 1, 1951 in Tucumcari and remained faithfully married for almost 65 years, until Mary’s death on October 29, 2015. After multiple moves in the early years of their marriage, they left Amarillo to move to Hereford for Duane to manage Big Daddy’s Truck Stop. This was followed by a few years in the trucking industry before settling into a career in the insurance business, which led to a move from Hereford to Canyon in 1981. Their home in the Canyon Country Club at their beloved Eazy Acres was their final move and they remained there for almost 38 years, sharing their special place with family and friends until the very end. Duane settled into a 31 year career with AFLAC Insurance working steadily until the age of 82. Although the boy left the country, the country never left the boy. He was always active outdoors enjoying camping, traveling and upkeep, maintenance, and construction at his Eazy Acres home or with his oldest son, Shawn. Duane was also a founding member of the Panhandle Antique Tractor Club where he enjoyed numerous tractors and projects with Shawn, including many, many activities of tractor shows and parades with fellow enthusiasts. Over the last ten years, he and Shawn were also very active in restoring and showing antique bicycles and made many great memories. In the last three years of his life, Duane had found great friendship and fellowship in the Widowed Persons Services of Amarillo. He greatly enjoyed serving and leading in this great organization. However, above and beyond all interests, activities, and hobbies, was Duane’s love, devotion, and lifelong relationship with Jesus Christ his Lord and Savior. All things in his life revolved around this relationship and he finished his life full of faith and trust and love for Jesus Christ. Duane was a very active member and part of the congregation at Washington Avenue Christian Church, participating in a great Sunday School class and many men’s activities and ministries, including numerous Promise Keeper trips in the 1990’s. Duane will always be remembered by the multitude of lives he touched as kind, gentle, generous, gracious, humorous, a master story-teller, and full of love and laughter, a true gentleman. Duane was preceded in death by his parents and four brothers, Wilson Wyly, Porter Wyly, James (Bob) Wyly, and Elton Wyly, and one sister, Myrtice Evans. Survivors include one sister, Nova Vaughn of Amarillo; two sons, Shawn Wyly and wife, Michelle of Amarillo and Brendan Wyly and wife, Kristen of Ithaca, NY; and three grandchildren, Shane Wyly and wife, Samantha of Amarillo, Cheyenne Wyly of Amarillo/Canyon, and Kathryn Wyly of Ithaca, NY. The family suggests memorials be to Christian Relief Fund, 1501 W. 58th Avenue, Amarillo, TX 79110.